You’ve been traveling around in space for a while and during that time you’ve noticed that the coating on the spaceship’s exterior has been peeling off. Not much. A little here and a little there. On occasions, when your crew wasn’t busy with its mission and keeping the spaceship in working order, someone went outside the ship and touched up the coating. Business as usual. Then, a meteor shoots through your air system and you need to get back to Earth quickly. When you go outside to assess the damage from the meteor you realize that not only has the space fragment torn a hole in the ship but there are a lot of places missing the outside coating that you and your crew haven’t kept up with. At the same time you realize the spaceship will burn up upon reentry if the protective layer isn’t fixed immediately. Now, patching the coating takes top priority, even though there are a lot of other preparations just as critical that need to be made for a safe landing. One of the great big problems with Climate Change is that Murphy’s Law kicks in with a vengeance. ‘What can go wrong, will go wrong, and at the worst possible moment’ should be on everyone’s mind as they think through what rapidly warming our climate means. However much we do to improve the lives of humanity, if we don’t prioritize taking care of our planet’s protective coating, we are not going to be able to safeguard ourselves from the worst of Climate Change. Of course, there have been a lot of climate changes in Earth’s history. But this anthropogenic Climate Change is entirely different. We have caused this sudden warming; we thrived on a cooler planet; we’ve built massive infrastructures that are vulnerable to sudden extreme weather; there are now seven billion of us who depend on a very shaky food-producing, life-giving environment; and normal weather events and climate patterns like El Niño get amplified causing far more damage than they could have in the past climate changes. 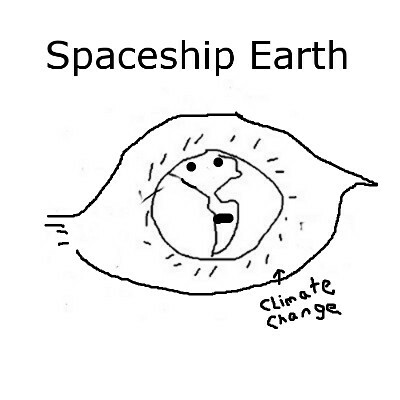 We have unleashed a new climate paradigm upon our life support system that we barely understand. Two recent items in the news capture novel aspects of Climate Change besides the long list of things going wrong with our weather. The first is an article by renowned climate scientist, Michael Mann, about how we went about choosing the wrong baseline for the Paris Agreement. In this article (below), Mann seriously challenges using the average between 1850 and 1900 as “an inappropriate baseline … for defining the “pre-industrial.”” Mann thinks a hundred years earlier is a more appropriate baseline from which to measure CO2 increases. An accurate baseline is important because anything else is delusional. If we think we can continue to increase greenhouse gases because we have chosen the wrong baseline, no amount of human consensus can change the consequences. If you think you can drive to your grandmother’s house for Christmas from your sister’s house on a half tank of gas, but realize your sister’s house is not where you thought it was, then you’d better recalculate. You may run out of gas. Trying to establish the proper baseline for addressing Climate Change is going to be tricky because our climate models are getting better and we are continually learning more about how our climate responds to changes. So, thinking we can pick just any baseline and then assume we have an accurate window where we can keep plowing more greenhouse gases into our atmosphere is a very dangerous delusion indeed. We’d better get our science right—and then we should get our politicians and media to listen to our scientists. The other story is about how sensitive climate is to an increase in CO2. Climate Change has forced us to learn a lot more about how our planet responds to a sudden warming. Learning, for example, that Earth's climate is more sensitive to CO2 than previously thought after we have already warmed the planet considerably and not heeded decades of warnings means that we have to respond much quicker than we thought. This hammers home the question: Are we going to drive our efforts to address Climate Change by heeding scientific information? Or are we going to proceed regardless of the warnings and a continual indifference to new information? If so, then we will only be able to chronicle our plight in hindsight because our chances to make the proper turns at the right times have passed us by. 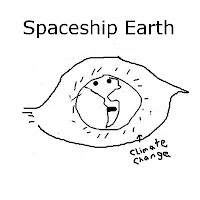 What appears by many to be merely a dreary litany of disasters claimed to be Climate Change -related are actually indicators that our protective layer on Spaceship Earth is peeling away. And while these terrible events have been occurring, our greater understanding of Climate Change reveals that all along our planet has been much more sensitive to warming than we have anticipated. It isn’t hopeless. But if our reactions to these indicators and new understandings of the problem continue to be chronic hopelessness and denial it may well get very miserable.